Every year NORAD, the North American Aerospace Defense Command, track Santa as he delivers presents for Christmas. It's a tradition which has been going strong for 62 years. Also spreading joy were the US President Donald Trump and his wife Melania. 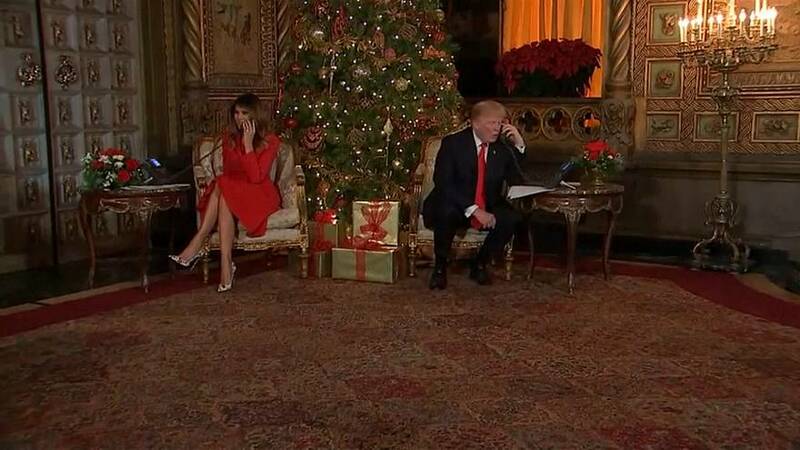 The Commander in Chief sat down with the first lady to answer some phone calls. Children had been calling NORAD to find out exactly where Santa was. Trump also revealed what he'd like for Christmas. Speaking to one child the President said he'd like the gift of peace. He went on to say that since the country 'has prosperity' peace would be a good gift.